Puerto Rico has a rich culture whose origins can be traced back to Taino Indian, Spanish and West African roots. While we may know much about our Spanish and African roots, many of us know little about our native Taino Heritage. In his Year 1999 National Science Foundation research, Juan Carlos Martinez Cruzado, Professor of Genetics at the University of Puerto Rico-Mayaguez, found that 62% of all Puerto Ricans carry Amerindian mitochondrial DNA from their maternal lines. For this reason, it is important that we learn more about the traditions and history of the Taino legacy that is a part of our fabric. 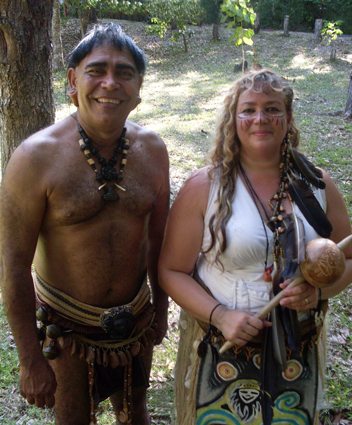 We would like to thank Cacike Caciba Opil (Piedra Sagrado del Espiritu), aka Martin Veguilla, Chief of the Concilio Taino Guatu-Ma-Cu A Boriken (picture, left) who has taken PRFDance Director Ana Mari-á Tekina-eirú Maynard on on a journey back to her Primera Raiz, her first root. Ana Mari-á is a blood descendant of the native Tainos of Boriken, the great-great-great-great (many generations) grandaughter of a Bujiti' family, Taino priests who served the people (oral tradition). Her Amerindian Mitochondrial DNA identifying her as Taina from Boriken (Haplogroup A-1) was tested by Juan Carlos Martinez Cruzado, Professor of Genetics at the University of Puerto Rico-Mayaguez in 2008, and further identified that her family's Boriken origins were of the ancient peoples that predated the Tainos, the Arcaicos (The Ancient Ones). The DNA results were of no great surprise to her Mom, who wondered what was the question (see photo of her Taina grandmother on the right). In 2006, Tekina-eirú began a project for her Puerto Rican Folkloric Dance & Cultural Center (PRFDance) that would forever change her life, intensive research to build a solid foundation for a "Taino Project" that PRFDance would execute in 2008. For her, this project was a lifetime dream to learn more about her own family ancestry she thought was forever lost. In February 2007, she returned to Puerto Rico to begin studying with the Cacike and his people in what she thought would be an education of Taino petroglyphs and ancient artifacts. She instead experienced an "awakening," the opening of a door that can never be closed again. In March 2007, she danced in her first Areyto where she received her Taina name Tekina-eirú (maestra dulce/sweet teacher), an "efecto de Dios" (from God) Martin explained. Her name was consagrada in a beautiful Naming Ceremony in March 2008 in the mountains of San Lorenzo where her Taina grandmother was born. In 2008, she shared this experience with her Cultural Center through a Taino Project that brought the Cacike and his people for a series of visits that included week-long workshops in Taino traditions (April 2008), a joint performance to share with the community (June 2008), and a Taino Camping Trip (Oct 2008) which took Taino traditions off the stage. In October 2008 Tekina-eirú made an amazing Journey Back to El Bosque del Charco Azul in Cayey, the mountains of her ancestors. Ana Mari-á continues to dedicate her life to the preservation and teaching of all of Boriken's cultural traditions. With the reclaiming of her Taino heritage, Tekina-eirú is enjoying the realization of many things about herself that now make sense in the context of her Taino heritage. Of the many gifts Tekina-eirú inherited from her Taino Ancestors, the one that has meant the most is the deep connection she has always felt to God, a blessing of deep Taino spirituality that is present in every aspect of life. Ana Mari-á started on this adventure not knowing really what she would discover, and what she discovered was the same, one true God who has been a visibly-active and constant presence in her life all along. To date, Tekina-eirú continues to be mentored in her native traditions by Caciba Opil. She is a Tekina in the Suania -- a Teacher of Taino traditions in the Americas, and a leader of ceremonial dance. 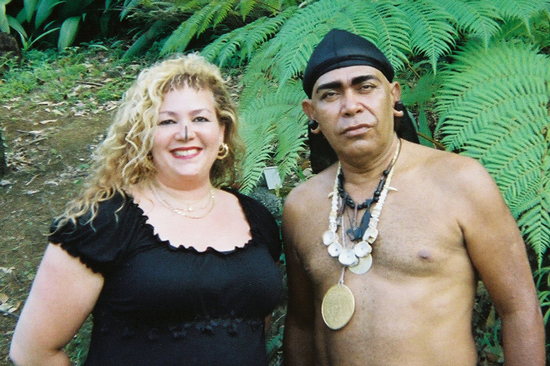 Top Photo: Martin Caciba Opil Veguilla, Cacike of The Concilio Taino Guatu Ma Cu A Boriken. Photo Copyright Concilio Taino. Used with Permission. 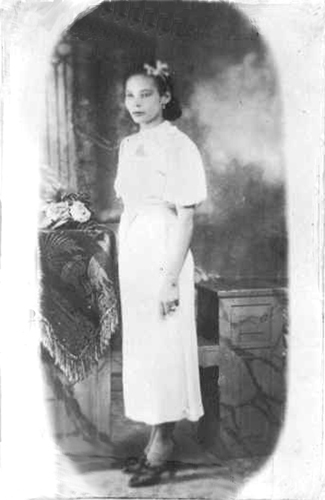 Side Photo of PRFDance Director's Taina Grandmother, Marcelina Serrano Santiago, Barrio Quemados de San Lorenzo, Puerto Rico, circa 1938. Used with permission. Ana Mari-á translates to flower (ana) of the Santa Maria or Calophyllum calaba tree, a tall, strong tree with white fragrant flowers that was used by Tainos to make canoes. Website references to Santa Maria tree from the US Forest Service. Irving Rouse, The Tainos: Rise and Decline of the People Who Greeted Columbus (Yale University Press, 1992). 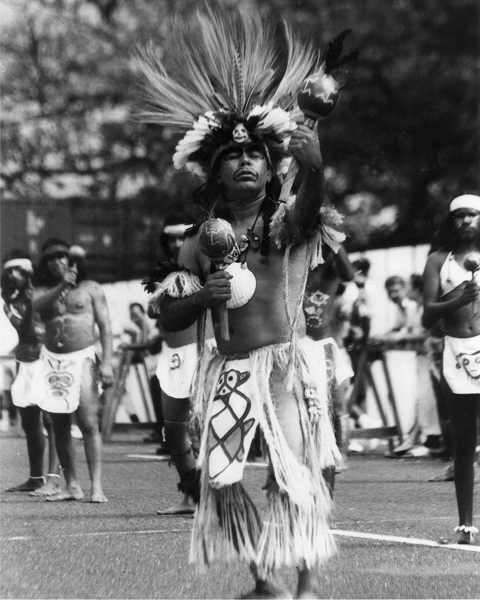 Our History Page contains additional Taino History and Resources . 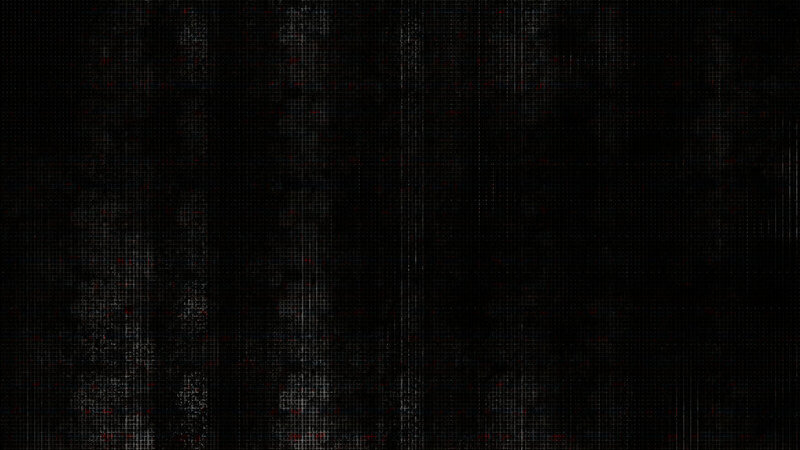 "You are 100% descendant of all your ancestors. Learn all you can, become who you are."